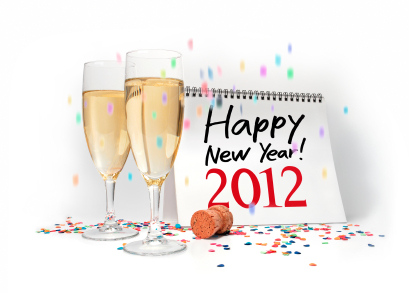 2012 should be an interesting year and hopefully it will be a good year for all of us. So what’s coming up in 2012? Well the VAT rate in Ireland has gone up as of midnight last night, which puts a bit of a downer on the start of a new year.. We’ve also been informed by several of the domain name registries that they will be increasing their prices during 2012, so we will be forced to increase some of our domain name prices. We’re strong believers in providing quality services at aggressive prices, so keep a close eye on our hosting and domain offers for details of our promotions and discounts throughout the year. But there’s plenty of good things coming in 2012. On our end we’ll be launching several new products and services. Some of these will be announced early in Q1, while others will probably happen in Q2 and Q3. Watch this space for more details! In the domain name space 2012 should be a very interesting year, with ICANN’s new TLD program opening in 10 days time. It’ll be interesting to see what new domain extensions become available over the next 12 to 24 months. Want to register yourbusiness.shop? How about yourpub.beer? Or if you’re an NGO you might be able to get yourorganisation.ngo. In the online technology space 2012 should be as interesting and exciting as 2011. I don’t have a looking glass, but there should be plenty to keep Conn and I busy with the Technology.ie podcast. Last year Ireland was visited by both Obama and the Queen. February is the Diamond Jubilee marking 60 years since her ascension to the crown! Also in the UK this year they’ll be playing host to the Olympics in London. If the fireworks display they put on last night is anything to go by then the opening ceremony should be spectacular. Are there any other big events scheduled for 2012? Does anyone have any BIG plans for the year? Let us know in the comments.